The level of enthusiasm Bruce Springsteen inspires in his audience is one with which only a few other music legends could empathize and with which even fewer have sustained for as long. From the songwriting that gives life to his albums to the showmanship that gives life to his epic-length concerts, the Boss has spent the past 40 years living up to his own conceived mythologies and—more importantly—giving listeners their own reasons to believe. Springsteen & I, which debuted in theaters this past July and was released on October 29 by Eagle Rock on DVD, Blu-ray, and digital video, is at once an affirmation and a celebration of this singular passion. Directed by Baillie Walsh, the documentary tells of the effect of Springsteen’s music on his fans from the perspective of the fans themselves. 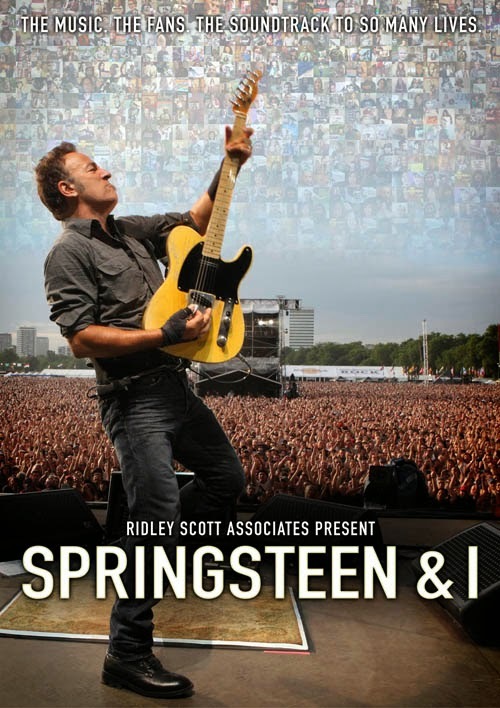 And there’s a certain poignancy, in fact, to the ways in which those profiled in this film describe how Springsteen’s music has influenced and in some ways even shaped their day-to-day lives, making for an ultimately uplifting exposition on the profound power of music overall. For those who are still baffled by such passion of the faithful, the extras include a sampling of live footage, recorded last year in London, of Springsteen and the E Street Band in action before a thoroughly enamored, massive festival crowd. The moments of Springsteen playing “I Saw Her Standing There” and “Twist and Shout” with special guest Paul McCartney, which ended the show before concert officials literally pulled the plug on it, illustrate that passion wonderfully coming full circle.